It’s not every day that you come around an idea as easy and cheap as this one. Marybeth Santos has shared this autumn DIY that lets you create a decoration using minimum supplies. 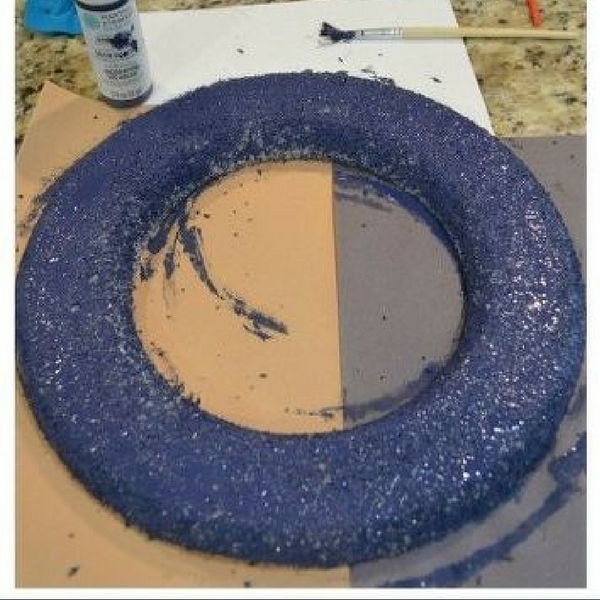 You will need a wreath form of white styrofoam, an old shirt, felt or other leftover fabric, a ribbon, craft paint, some floral sprigs and a glue gun.